Cars these days allow people to easily hide their parking ineptitude. But if you wanted to park more easily in the 1950s, you would’ve had to look like a total doofus. That’s because there actually was a car, aptly titled the Park-Car, that utilized a built-in fifth wheel to rotate in and out of parking spaces. 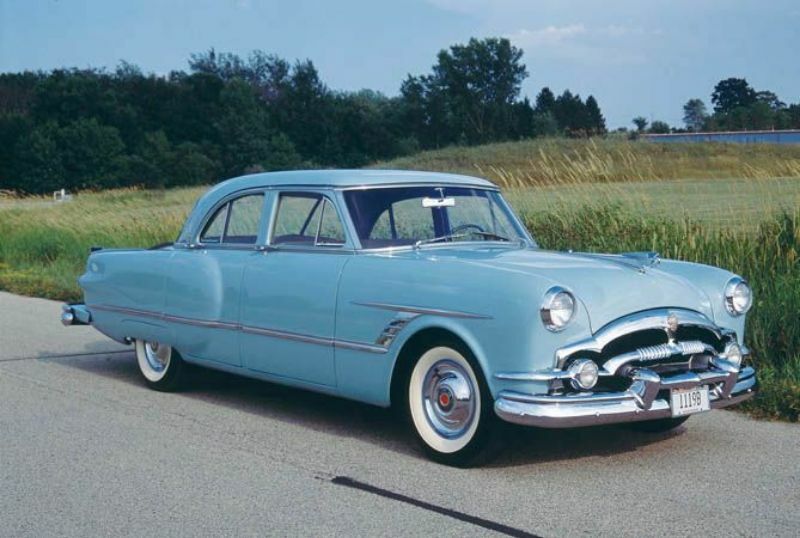 Invented by Brooks Walker in the 1930s and patented in the 1950s, the car never reached the market, as manufacturers apparently didn’t dig Walker’s prototype. In the early 1930s, Brooks Walker created a new elaborate solution for parallel parking by developing a fifth wheel solely designated for parking. This auxiliary wheel is hidden in a vehicle’s trunk and pushed down to the ground by hydraulic pumps and gears when needed. With a simple crank on the dashboard, the wheel would be lowered to the ground and swing the car around for easier parking. After the car is in its parking place, another switch would lower the car back into its original position. Real pictures form November 17th, 1952 Life Magazine and US Patent 2,139,341. Once the rear wheels are off the ground, a giant gear behind the continental tire turns via belts and braces that are set in motion by the passenger side rear tire. By putting the transmission in “Drive,” the right rear tire spins against a wooden wheel that is part of the self-parking system. 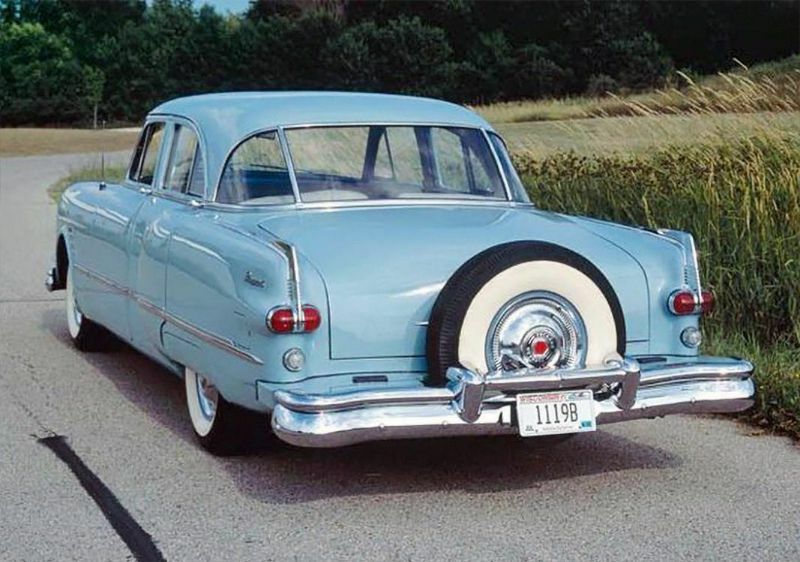 The wood wheel transfers motion through the system to the continental tire, which then pushes the Packard towards the curb. 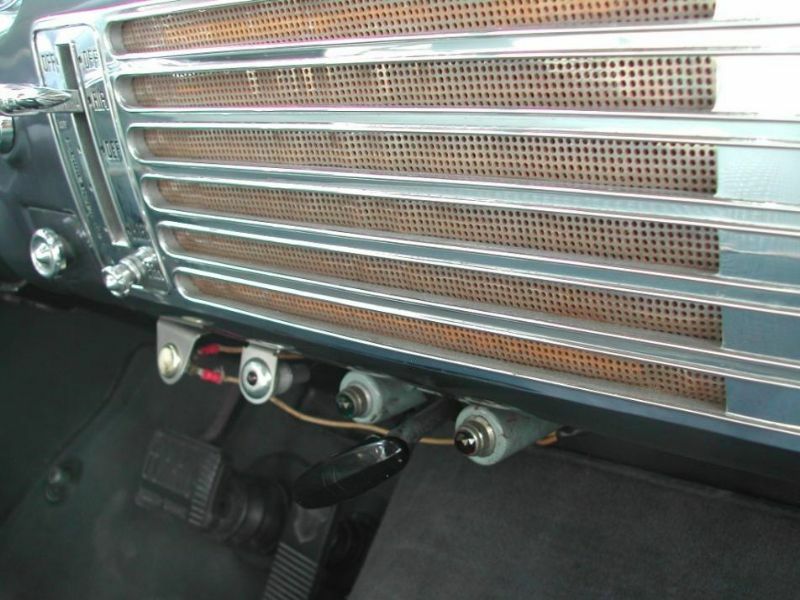 When the transmission is put into “Reverse,” the Packard pulls away from the curb. Because the car’s transmission and rear wheels are utilized in the system, the brakes can be used to stop the continental tire from spinning, making the system easy for a novice to use. 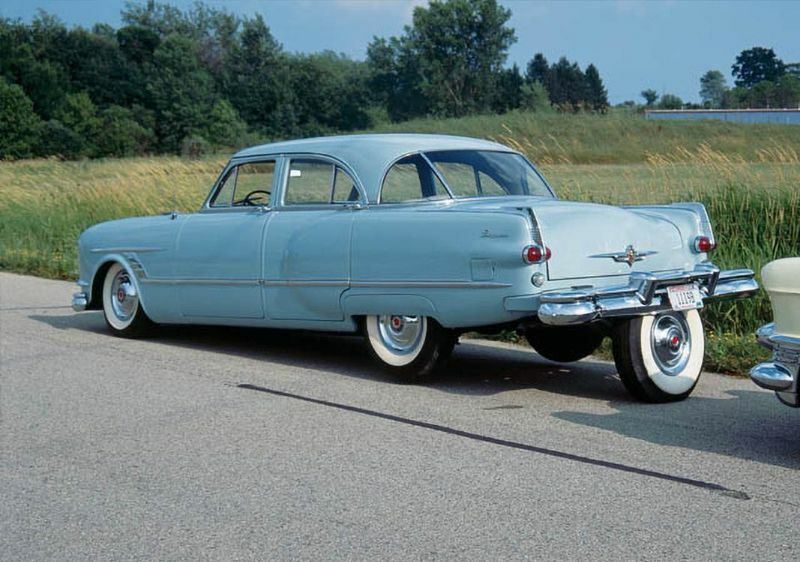 Using a series of hydraulic pumps and belts, the rear tire is lowered until it raises the Packard’s rear wheels off the ground. 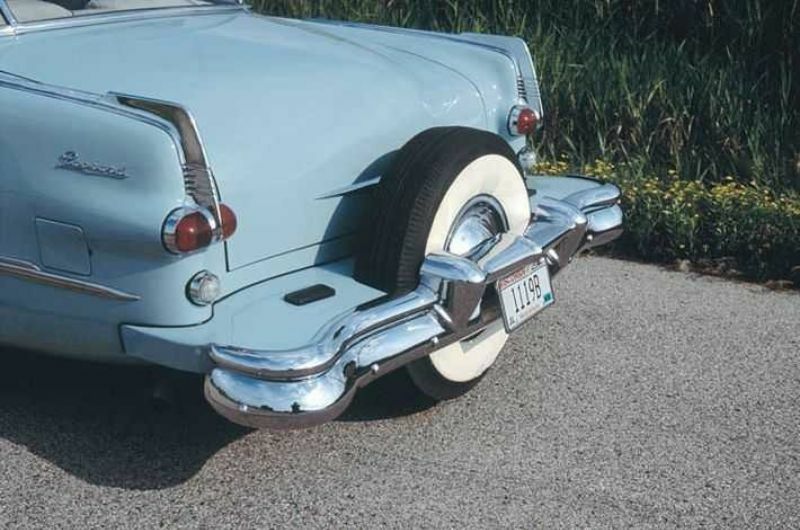 The self-parking Packard doesn’t look much different than any other 1953 Cavalier sedan, but trained eyes realize, even from this angle, that the continental kit is longer than most. These controls, mounted under the instrument panel, engage the self-parking device. 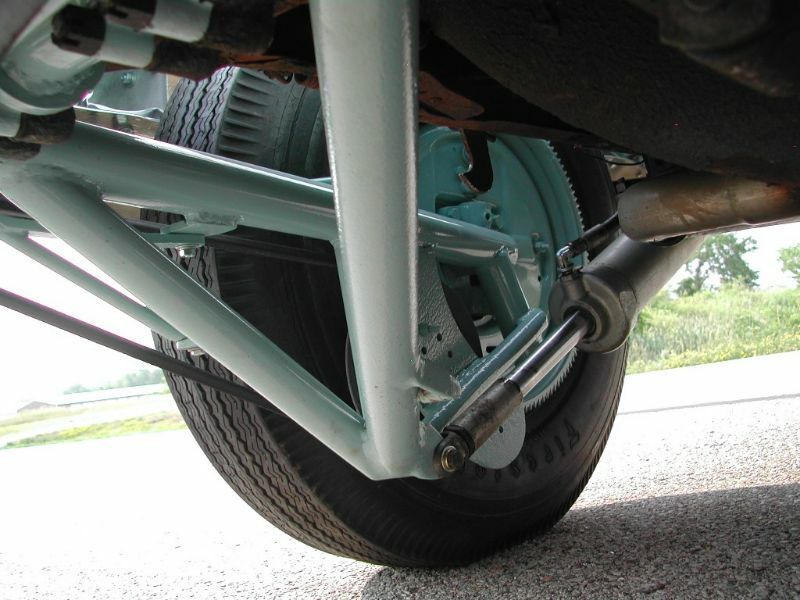 Looking under the car at the back of the continental spare while in the “down” position, the gear at the back of the spare tire can be seen, as can the lifting supports for the car, hydraulic pumps, and belts.